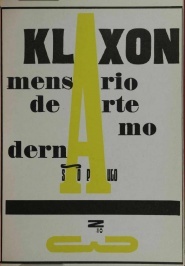 Klaxon: mensário de arte moderna was an avant-garde journal edited by Mário de Andrade, published in Portuguese in São Paulo, Brazil. Nine issues were produced in 1922-23. 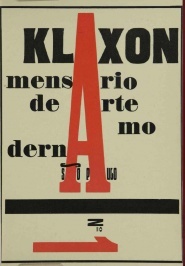 Klaxon 1 (May 1922). Download. Klaxon 2 (June 1922). Download. 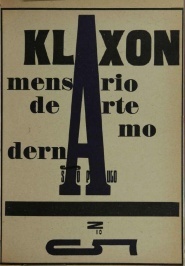 Klaxon 3 (July 1922). Download. Klaxon 4 (August 1922). Download. 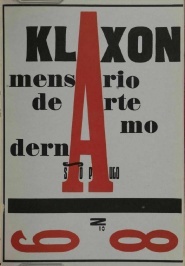 Klaxon 5 (September 1922). Download. Klaxon 6 (October 1922). Download. Klaxon 7 (November 1922). Download. 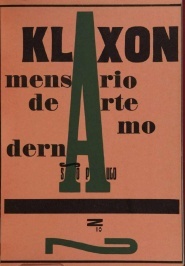 Klaxon 8-9 (December 1922-January 1923). Download. This page was last modified on 18 October 2016, at 17:36. This page has been accessed 12,223 times.